Come join and learn from the Villanova coaches and players as we teach you concepts of 4v4 play. The morning will consist of 4v4 concepts and then teams will compete against each other in 4v4 play. Open to Grades 3rd-12th: Please select your division when you register. INDIVIDUALS: Individuals will be placed on house teams. You still may request to play with friends. To register, click on the individual cart below. TEAMS: Teams must have a minimum of 6 players (included GK) and maximum of 9. Each team must have a goalie. EVERY TEAM NEEDS TO WEAR THE SAME COLOR. If you cannot find a goalie, please email us. Step 1) Coaches/team representatives must register their team first - at no charge (by hitting the Add to Cart button next to coach). Players cannot register until this step is complete. Step 2) Once the team is registered, players can register by clicking on the Add to Cart button and then you must choose your team name on the dropdown list. If cancellation is received 1 weeks prior to the event start date, you will receive a refund of the amount paid minus the service fee. Cancellations received within 1 week of the event start date will result in forfeiture of the entire fee. Medical exception: if the participant cannot play due to medical reasons, we will refund the amount minus the service fee upon proof of documentation from a doctor. If the event date has started all payments are final. 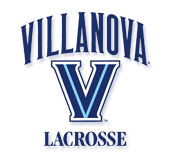 Check out this Lacrosse camp 'Mini Cat 4v4 (Grades 3rd-6th)' with Villanova Women's Lacrosse Camps & Clinics!